Cream together shortening and sugar. Add eggs one at a time, beating well after each addition. Mix in bananas, buttermilk, and vanilla. Mix in flour, baking powder, and soda. Stir in nuts if desired. Pour batter into two greased 9x5 inch pans. terrific recipe!! moist and tasty!! the buttermilk makes this a real stand out. I used real butter also for the shortening. This is the best! Fantastic! Stays moist. Flavor is great. 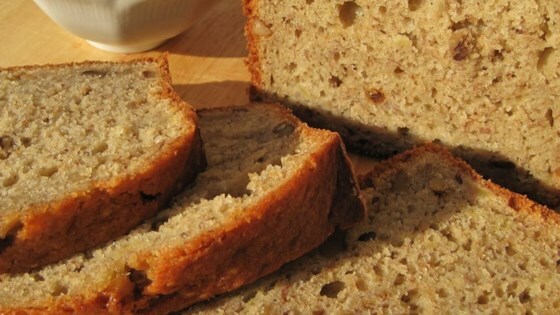 Best banana bread I have ever tasted. very good recipe. stays moist even after days and it still tastes good!!! a little sweet but other than that, it's great.